The sudden burst of media interest in the fading possibility of Tony Blair being chosen to be something erroneously described as “President of Europe” has given rise to an extraordinary number of misconceptions and misunderstandings. In a post in the admirable website LabourList — admirable in many ways, not just because it publishes articles and comments by me — an otherwise estimable Labour MP says that “the new European President” will be “a sort of executive head of the government of Europe”, which is about as wrong as it’s possible to be. Contributors to discussion of the MP’s article demand that the person who will chair meetings of the EU Council of Ministers (the main function of the proposed ‘President’ of the Council) should be elected by all the citizens of the EU — which really would set the EU on the road to becoming a federal super-state, something that hardly any EU government would dream of allowing it to be. There seems to be little awareness of the fact that the existing six-month Presidency rotating among the 27 member states will continue to provide the chairpersons of all but two of the various Councils of Ministers — the Council of Transport Ministers, for example, or the council of Environment Ministers. Only the Council of Ministers or ‘European Council’ (of heads of EU state or government) and the Council of EU Foreign Ministers will have new Chairs: the former will be chaired by the new ‘President’ of the Council, presumably not Tony Blair, and the latter by whoever holds the new and sonorously named post of “High Representative of the Union for Foreign Affairs and Security Policy” to be created under the Lisbon treaty, conceivably our very own David Miliband, who however persists in asserting that he is not available for it. Few comments mention that the Council of Ministers already has and has always had a President — the head of government of the member state holding the rotating presidency at any one time; or that both the European Parliament and the European Commission each also has its President, the latter probably the most powerful office-holder in the whole EU. One of the LabourList discussion commenters asks why, if the post of President of the Council of Europe has such limited powers, British Labour ministers are pushing Tony Blair’s candidature for it so hard. In reply to this interesting enquiry, I have suggested in my own comment several possible reasons, two of them tolerably reputable. Together with some other contributors, and in the knowledge that I’ll be excoriated as arrogant for my pains, I have also tried to answer several other questions in LabourList comments, as well as seeking politely — or otherwise — to correct some of the more obscurantist misconceptions. You can read all these comments at this location. Do go across and join in the debate. There’s still plenty of scope for fresh illumination. 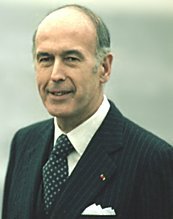 Président Valéry Giscard d’Estaing, “suspected of secretly coveting the job himself”. Well, why not? He’s the principal author of the ill-fated EU constitution from which much of the Lisbon treaty has been derived; he has just written a novel in which he implies that he once had an affair with the late Diana, Princess of Wales; and there can’t be many other former French Presidents who were born in Germany. And he’s only 83. How unfortunate it is that the French for ‘Chairman’ is ‘Président’! To take your last point first, the word president has caused untold problems, and not only in this case. Spain’s head of government, for example, is routinely referred to as ‘el Presidente Zapatero’ because he is the Presidente (i.e. Chairman) of the Cabinet, which is his constitutional title. That is why Jeb Bush committed the serious gaffe of welcoming Aznar to Florida as the President of the Spanish Republic! In the case of the EU it is clear that the post requires the ability to chair the Council of Ministers, sometimes called the European Council and not to be confused with the totally different Council of Europe. The position is not clearly defined in the treaty, but it is clear that considerable skill will be required to keep control of a council of 27 members, none of whom owes his or her membership of the Council to the President, and who come from a huge variety of political and cultural backgrounds and from countries of differing sizes. As far as the runes can be read, Merkel, who unlike Sarkozy has kept her cards very close to her chest, will prefer a candidate from a small or medium-sized country precisely to prevent any large country from dominating the Union; Belgian PM Herman Van Rompuy seems to be the latest candidate. A man who can govern Belgium seems a good choice for managing the EU, whether or not he can stop traffic in Beijing. It is also true that this post is most definitely not an executive presidency. It would be surprising if it were, for that is not the European style; with the limited exceptions of France and Russia, European countries have figurehead heads of state (as Václav Klaus is being made to realise). It is in the non-Commonwealth countries of the Americas that executive presidents are to be found, and it is curious to see how, whenever constitutional matters arise in British political discourse, the USA is immediately taken as the referent for republican normality. Given the nature of the post, a direct election would be as absurd as a direct election for the post of Prime Minister. On the other hand, there is an argument that the chairman of this council should be able to get along with the members of it; this is why it was agreed some time ago that the chairman of this council should come from the EPP, which has a majority on it, and that the Socialists should have the post of “High Representative of the Union for Foreign Affairs and Security Policy”, thus sonorously named at the express wish of one member state (I refrain from naming it to spare your blushes) which refused point-blank to allow the title of European Foreign Minister to be used. This agreement is one reason (and there are many others) why Blair’s candidature was doomed from the outset, as I have been saying unwaveringly since March 2008. Why the Labour Party, with assistance from Downing St, has been pushing Blair’s candidature so hard is unclear. It is suggested here that his withdrawal may act as a bargaining counter to get Miliband into the position of High Representative, but it is hard to see this being decided a priori as a grand strategy. Moreover, if it is pushed too far it will look like blackmail – and we have had enough of that from Prague recently – with the exception that France and Germany could ignore the UK if they wanted to; they could probably get a majority on their own. It would look bad for the EU to be divided, but then it would look bad for the UK to be isolated; the Labour Party is, by its own decision, seriously at odds with the Socialist group in the Parliament while the Tories have spectacularly jilted the dominant party and gone whoring in the East End. What price the UK’s reputation now? The rotating presidency will indeed continue but Spain, which takes over in January has agreed to run a triple presidency for eighteen months with Belgium and Hungary, the two countries that follow it. There is a single logo (tweaked for the colours of each country) and a common programme of action has been drawn up for the eighteen-month period. As to why the Labour leadership is pushing Blair for the Presidency of the Council of Ministers, your guess is as good as or better than mine. It’s perhaps a mixture of motives: protecting themselves against the charge — when Blair is not chosen — that they hadn’t worked hard enough for him, and that the failure was a hangover from the old antipathy between Blair and Brown; knowing that the choice of Blair to preside at Council of Ministers meetings would give Cameron a hard time if and when he wins the next election, and expose the folly of the Tories’ Europhobia; the usual juvenile wish to wrong-foot the Tories by laying them open to an accusation of unpatriotic behaviour if they oppose the Blair candidature, as they were always bound to do; a gut feeling that having a Brit, any Brit, even Blair, in a prestigious position in Europe could only be a Good Thing and something that any UK government ought to work for; perhaps even a genuine belief that Blair would do the job better than any other candidate and that this could only be good for Europe (sounds far-fetched as a motive, I realise, but who knows?). [some say that the President]” should be elected by all the citizens of the EU — which really would set the EU on the road to becoming a federal super-state”. We’re damned if we do, and damned if we don’t. The new President of the Council is quite likely to begin to speak on behalf of the EU – somebody has to – and to mould the new role into a Presidency, whether we like it or not. There is a the principle of democracy at issue here. The President should be chosen by the people, not by a committee. Brian writes: I suppose such a development is possible, but it seems to me unlikely. The heads of government who form the Council of Ministers aren’t likely to allow their President (or chairperson, really) to get too big for his modest boots: he won’t have any governmental status in the way that they all have, and unlike them he won’t have been elected by ordinary voters — in itself a good reason for not having him “chosen by the people” as you suggest. Moreover there are already Presidents of both the European parliament and of the Commission, both of whom are far better qualified to speak on behalf of the EU than this chairperson with his very limited job will be. The President of the Commission does indeed speak on behalf of the EU, often and effectively, and he’s not going to be up-staged by the ‘President’ of the Council of Ministers, either. Peter Harvey’s recent comment is also relevant. Even heads of government in Europe (with the sole exceptions of those of France and Russia) are not directly elected, and this new-style President won’t even be a head of government. With the exceptions of France and Russia (which has its very own peculiarity called Vladimir Putin), the person who speaks internationally for a country is the head of government, and there is not one country in which that post is directly elected. The head of government, i.e. the prime minister of a country is the leader of the party that forms a government. He or she is chosen by some internal party procedure be it election, appointment by a committee, or a mysterious process of emergence, but there is no country with a European-style prime ministerial system in which the PM is elected directly, nor should there be. Brian writes: An interesting point, and a good answer to those demanding that the new (misnamed) ‘President of Europe’ should be directly elected in Europe-wide elections. Of course the holder of this post won’t even equate to a national head of government, having no executive role of his own and no responsibility for appointing or sacking the members of the Council of Ministers which he will chair, so the argument for his direct election is even weaker. An even stronger argument is that direct election would make him the only person in Europe directly elected by the votes of all EU citizens: this would give him greater legitimacy and authority than anyone else, including any national head of government, and even than the President of the Commission: and that in turn would completely upset the balance of power, functions and authority as between the various institutions of the Union. It would also, as I have observed earlier, constitute a major step towards making the EU something approaching a single sovereign confederal state, which few of even the most besotted Europhiles want to see. Apart from a few English mayors I can’t think off-hand of any executive political post in Europe at any level that is directly elected. Brian writes: And some other mayors besides the few English ones, I suppose: all those French mayors, for example. Except the French President of course! A pedantic clarification if I may. The heads of government of France and Russia are not directly elected; each of those countries has a prime minister who is elected indirectly. The point is that in those countries the president, who is the directly-elected head of state, has considerable executive powers. The French system under the Fifth Republic is stable. The president has control of foreign policy and considerable influence over much else. It is often said that the French prime minister is a lightning conductor: if the president is in trouble, the PM is there to take the flak (to mix a metaphor). The president is, after all, elected for five years and cannot be removed. Russia is not so simple. There is a directly elected president and a conventional PM, French-style. The problem is that after Putin had completed his constitutional term as president he decided that he would be PM with Medvedev as president under his thumb. That was constitutional, but not exactly democracy as we know it. What I said was that France and Russia were unusual in that the person who speaks for them internationally is not the head of government; exceptionally for Europe, in these countries it is the head of state who has the international role (more theoretically than practically in Russia’s case). Your explanations of why Labour proposed Blair for President fit the facts as far as they go, but they overlook one important point: he never had a chance. This was clear to me, as I have said, over eighteen months ago. Why did British diplomats in Brussels not tell Downing St that they were on a hiding to nothing? Or did they, only to be ignored and overruled? Were there no hard-headed organisers in the party itself with the analytical realism (and the clout) to stop this doomed venture before it began? Or even afterwards, for that matter. Why on earth was it Glenys Kinnock, who I would not expect to be a great Blair fan but who does have experience of the EU, that set the whole thing in motion? Is the Labour Party, and by extension the UK, so utterly incompetent in its understanding of the EU after more than thirty years that it can let itself in for such a humiliating debacle? Where I suspect that the Labour leadership’s campaign for Blair is politically damaging and self-defeating is that (i) it’s foolish to commit oneself publicly to a cause which is virtually certain to fail, (ii) it seems to reflect a fundamental misunderstanding of how the UK is viewed in much of the rest of Europe, i.e. as one of the least strongly committed partners (not a member of the Eurozone nor of the Schengen group, insistent on a raft of opt-outs from treaty obligations willingly accepted by almost everyone else, with a major political party currently miles ahead in the polls deeply hostile to and suspicious of the whole European project) and thus the last EU member state from which to choose a President, even if only the President or Chair of the main Council of EU heads of government; and (iii) it’s tactless to be seen to be working for a candidate from one of the three biggest EU member states in the face of the evident wish of most of the smaller countries to have a President who would be able to represent them against the tendency of the big boys to dominate the Union. Many thanks for the endorsement. May I mention that my post that refers directly to the content of Henry Porter’s article is here? I also wonder about a couple of other points. Does he realise, I wonder, that this ruling only applies to state schools? Church schools (and other private schools) can do as they wish. The ruling is fully in line with the doctrine of separating Church and State, with the State being secular. There are no crosses in Spanish state schools, and there was a big row about one being present on the table when the ministers took office after the last election (all but one made a secular affirmation). The Catalan government has announced though that they will still refer officially to Christmas and Easter holidays to maintain the cultural and historical tradition. I also wonder whether he truly understands what is meant by a crucifix (and in view of his argument I feel justified in wondering whether he understands anything at all). A crucifix is, according to the Concise Oxford Dictionary, ‘a representation of a cross with a figure of Christ on it’. While they are often very delicately made, they can certainly be explicit and bloody, and in their nature they are a graphic representation of a man being tortured to death. There is an exhibition of Spanish art in London now, which according to the reviews that I have read here has some especially gory examples of this genre. I can quite see an argument that they are hardly suitable for a classroom wall. That is, I recognise, different from the argument about secularism but I feel that it is still a valid point. I once spent some time teaching in a religious school here. There was a plain wooden cross (a square one if I remember right) on the wall of each classroom and that was it. And no-one in the school ever asked any question or made any comment about my own religious beliefs. Brian writes: Thanks, Peter. I cordially agree with your comments and am grateful for the additional information. On the question of crucifixes displayed in the classrooms of state schools, it seems to me wholly inappropriate, in our multicultural, multi-religion societies, to display the potent symbol of one religion in schools attended by children of other religions and of none. Personally I don’t even have a problem with the French ban on Muslim girls wearing the hijab or other prominent badges of religion in state schools, especially when this particular badge reflects a view of the role of women (and of the supposed sexual appetites of men) which is inconsistent with liberal democratic values. But I can see that there is room for argument about this and that liberals in good standing may well disagree. Schools supported by taxpayers’ money but run by a particular church, chapel, temple, synagogue, mosque, or whatever, are of course in a different category; in my opinion state money should never be used to finance or subsidise such schools, so problems of this kind wouldn’t arise. Brian writes: I strongly recommend anyone interested to follow Peter’s — sorry, Lavengro’s link. Henry Porter is often both right and readable, but he’s come a painful cropper here. How the Observer’s sub-editors and fact-checkers, failed to spot such an elementary error is an insoluble mystery. I wonder how he and they will try to make amends next Sunday. Previous story Question Time with the BNP: cui bono?